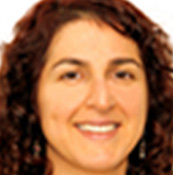 Dr. Ghadiri trained in Melbourne and after graduating in 1997 completed her Fellowship in General Surgery in 2010. Additional specialist training in Upper Gastro-intestinal and Obesity surgery at Monash Medical Centre paved her way for her ongoing clinical interests in this area. Jane is accredited at and operates at Jessie McPherson Private Hospital in Clayton, Epworth Hospital in Richmond, and balances being a mum with being an active member of the Specialist team at Monash Medical Centre in Clayton. Jane’s primary interests are in weight loss surgery including sleeve gastrectomy, gastric banding and gastric bypass and she would be happy to provide a consultation on what may be the most appropriate procedure for you to assist you in your long term weight loss goals.